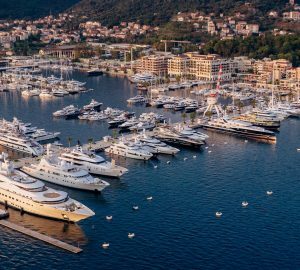 Porto Montenegro, one of the most luxurious marinas in the world, welcomes a large number of yacht charterers every year. Porto Montenegro was opened in 2009. It’s situated in the Bay of Kotor in Montenegro and is now one of the most sought-after and glamorous marinas in the Mediterranean. The port has helped Montenegro become a new Monaco for yacht charterers drawing many yacht owners to this beautiful island in the Adriatic Sea. 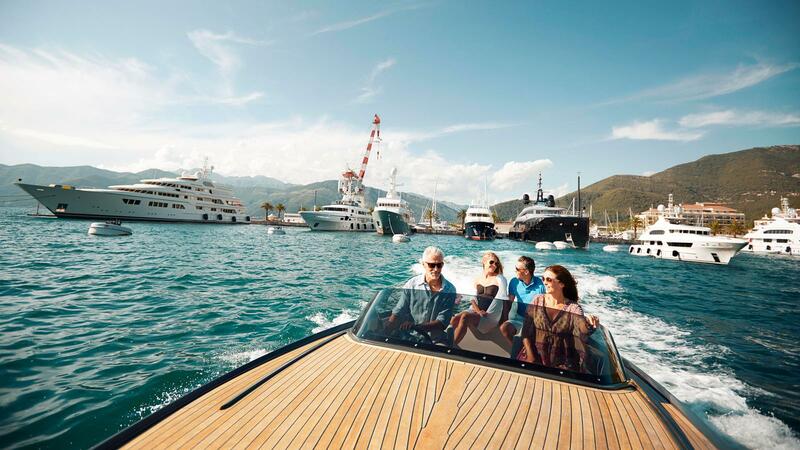 Go here for the full Essential Montenegro Yacht Charter Guide. The location of Porto Montenegro is half way along the Adriatic coast, not far from the Croatian border. It has three international airports namely Dubrovnik, Podgorica and Tivat which all have facilities for private jets. It’s a fantastic place to start off from when you’re on a superyacht charter vacation in Montenegro or visiting Croatia. The facilities here are good too. 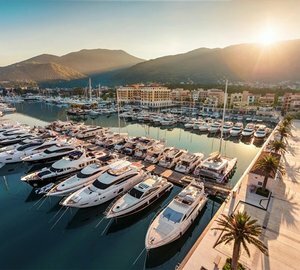 Porto Montenegro was The Yacht Harbour Association’s Superyacht Marina of the Year offering some of the best facilities for yachts in the world. It has 400 berths and 50 more are planned. The marina also has 24-hour yacht security and assistance. There’s a tax and duty-free fuel station as well as a multilingual team of people. The interesting history of Porto Montenegro is that it was once a naval base which has now been transformed into a luxury superyacht marina. The marina is constantly developing and expanding to accommodate more vessels. There are many beautiful waterside residences here, gourmet restaurants and vibrant bars. Restaurants offer traditional cuisine, Japanese, Italian as well as Mediterranean dishes. Enjoy dining at its best when away from your superyacht. Shopaholics will certainly enjoy the international branded stores like SLAM, Carolina Bucci and Heidi Klein along with many other boutiques. 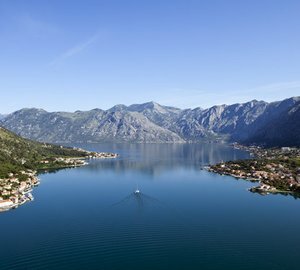 Activities on offer at Port Montenegro comprise a sports club, spa, fitness centre and a large yacht club. There’s a fantastic 64m lido swimming pool too. Known as a top Mediterranean party destination, Port Montenegro has night clubs with many exciting festivals being held here. International stars like Fedde Le Grande and Eric Prydz have entertained in the Port in the past. With its all-year-round crew facilities, crew bar and organised events, there’s plenty for superyacht charter crew to do. In the winter season, the marina offers crew free ski chalets in Kolasin which is a 2.5-hour drive away from the marina.